In 2015, the United Nations (UN) took stock of three key global peace and security review processes, all of which contain various observations and recommendations to better prepare, inform, and potentially reform, the organisation. 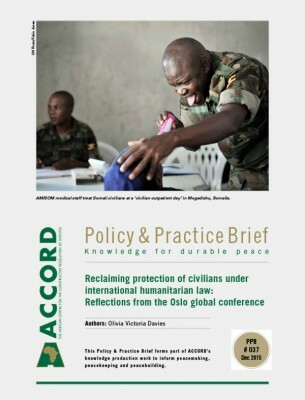 This Policy and Practice Brief (PPB) seeks to unpack these reviews, identify common threads and elements and provide insight on some of the deeper, underlying challenges and concerns that the organisation will need to address during this considerable period of institutional introspection – amidst growing international disillusionment and dissonance over the current state of global peace and security. The PPB begins by illustrating what led to the reviews and how each had been conducted. This is followed by an examination of the content of each of the reports, with particular regard to the respective central arguments, observations and general recommendations. 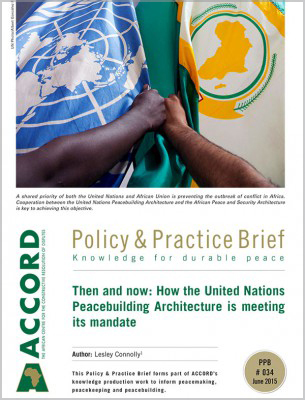 The PPB then underscores the common threads contained in each report and provides an analysis of whether these reviews adequately consider the UN’s institutional responses, structure, and capabilities in light of the most pressing emergent international peace and security trends and developments. 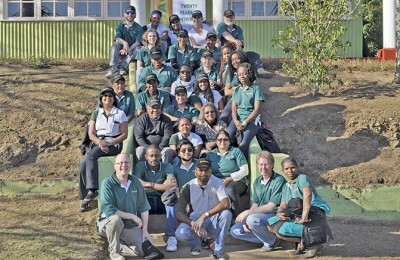 The PPB concludes by qualifying and drawing attention to the two overarching policy directions that currently confront the organisation, either toward some form of greater structural expansion or something more geared toward a deeper institutional rationalisation. a seven-member Advisory Group of Experts (AGE) on 22 January 2015, which similarly undertook a review of the UN’s peacebuilding architecture. 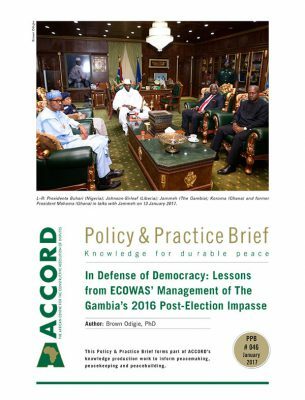 The AGE subsequently presented its report, entitled “The challenge of sustaining peace”,3 to the Secretary-General on 29 June 2015. 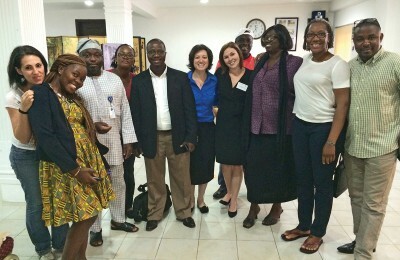 Each of the reviews had been definitively grounded in inclusive and comprehensive methodologies – which, over the course of a number of months, witnessed members of all three review processes traveling extensively and engaging with a wide range of actors and stakeholders to provide the greatest degree of inclusion and legitimacy possible. In light of this, questions surrounding the long-term impact of these reviews on the effectiveness and nature of the UN’s institutional structure and character vis-í -vis international peace and security are particularly relevant. 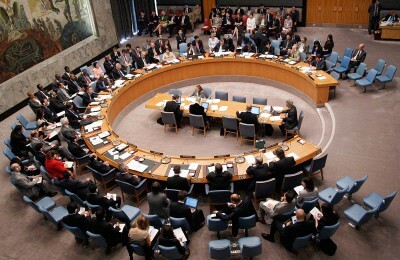 As noted above, UN Secretary-General, Ban Ki-moon, convened three separate groups of experts to take stock of – and report back to the Security Council and General Assembly – on the distinct, though interrelated, issues concerning the organisation’s implementation of resolution 1325, the current state and effectiveness of its peace operations, and an assessment of its peacebuilding architecture.4 Each of the respective groups were officially convened and provided their terms of reference at different times (and, indeed, in different years, from 2013 to early 2015), and each presented their findings to the Secretary-General. 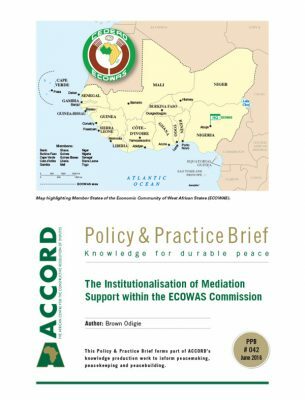 He, in turn, presented these findings to the organisation’s member states throughout the course of 2015, which effectively marked this period as one of considerable institutional introspection. The significance of this period should therefore be dually understood in terms of the factors that drove the early momentum for the reviews to be undertaken in the first place, as well as the outcomes of the reviews themselves. 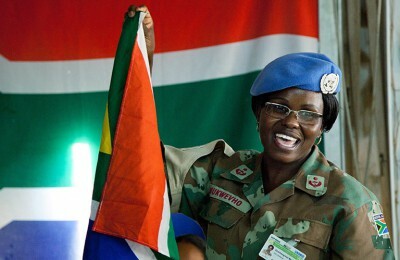 Whereas the WPS report arose specifically out of a UNSC invitation contained in resolution 2122 (2013), both the HIPPO review and the AGE review arose out a more general acknowledgement that changes in the nature of conflict may well be outpacing the ability and capacity of the UN to respond effectively, in terms of its institutional structure and approaches toward international peace operations.5 Indeed, as highlighted by all three subsequent reports, the recognition that something was amiss in the UN’s overall effectiveness regarding both its women, peace and security agenda and its approaches toward peacebuilding and peace operations, pointed to a broader, deeper and increasingly pervasive malaise currently afflicting the global peace and security institutional architecture. Specifically, in its elaboration of this arguably growing distance between what is required (or expected) and what the organisation is actually capable of providing, the HIPPO report underscored the fact that there is now clear evidence to support the assertion that there has been a reversal of the generally positive trend that saw a decline in the number of global conflicts over the last 20 years.6 Understood collectively, the three reviews have – to varying degrees – now provided an official acknowledgement that the UN currently stands at a crossroads. All three reports consequently contain some form of a call to action or call for change, but the significance of their content becomes decidedly more apparent upon a deeper interrogation of the underlying structural dynamics of the international system itself. This is an issue that is alluded to in the AGE and WPS reports (and is largely ignored by the HIPPO), but one that is not adequately considered by any in their final conclusions and recommendations. In spite of the truly commendable, comprehensive and candid appraisal of all three of the review processes, a common trend among their reports provides some cause for concern, on the one hand, and on the other, a considerable opportunity for international civil society and think-tanks to build and further develop some of the key ideas that the reviews highlighted (but did not sufficiently interrogate). This common trend refers specifically to the manner in which the reports openly recognise the changing nature of conflict across the international system as arguably the most significant issue that has led to its current institutional make-up quickly becoming outpaced by the very incidents, trends and dynamics that the system needs to address. Such an allusion speaks to the fact that the experts who conducted these reviews were well aware (through their respective engagements and internal processes) that the UN’s peace and security institutional structure, as it is currently configured, has become increasingly out of sync with the system that it ought to be closely attuned to. Thus, the two overriding concerns posited by all three reports speak directly to the interrelated issues surrounding that of being outpaced – and, by extension, some form of a growing distance between institutional commitment (or expectation) and capability – as well as the considerable growing dissonance between policy and practice. Specifically, whereas the former speaks more to issues surrounding institutional culture (with particular regard to path dependencies and bureaucratic recalcitrance) and the need for considerable internal restructuring and refinement, the latter squarely points attention to the need for a deep and meaningful rationalisation of the institution to account effectively for the emergent international peace and security environment. However, to a considerable extent, these concerns are framed within the narrower, more technical and specific thematic focus of each respective report, given each of their individual terms of reference. Accordingly, there is a definitive need to consider more greatly these particular concerns, which can only be gauged meaningfully through a collective reading of all three reports. The overarching approach adopted by all three reviews in their final conclusions and recommendations is equally illuminating. Despite the collective recognition of the organisation being both outpaced and structurally incongruent with the changing nature of conflict, all three reviews adopted a largely common approach that broadly advocates for “more of the same”. To this effect, the HIPPO and WPS expert groups (as well as the AGE, albeit to a much lesser extent), in essence chart a way forward for the organisation that is premised on greater funding and structural expansion on all fronts. Thus, as argued by the reviews, the way toward a more capable, credible and responsive UN lies in a relatively predicable approach wherein restructuring (and structural expansion) takes precedence over rationalisation. 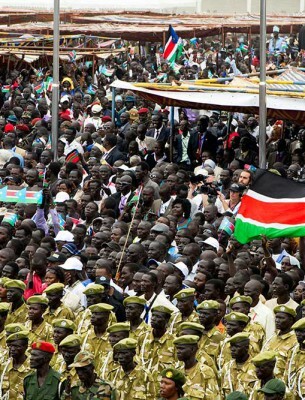 The distinction here is critical, as it provides clues surrounding the likely nature of this period of introspection by the organisation, and the subsequent effects of this regarding its future direction in terms of the implementation of resolution 1325, and its peace operations and peacebuilding efforts. Moreover, such a distinction points to the urgent need to distinguish between what the organisation should and should not be doing to maximise impact and close the growing gap between expectation, commitment and achievement. At the heart of this matter is the fact that while all three reports candidly acknowledge the changing nature of conflict, they do not go far enough in considering the changing nature of the international system itself. Consequently, the underlying assumptions of how best to approach global peace and security challenges remain fundamentally unchanged (and arguably misguided), given that the assessments overlook dramatic ontological changes that would ultimately compel each to advocate for a more revisionist final set of recommendations and conclusions. Arguably, such a revisionist agenda would stress the urgent need for a rationalisation of the UN’s global peace and security institutional structure, ultimately pointing to substructures, agencies, practices and interventions that ought to be prioritised, and those which shouldn’t. This rationalisation may well have included recommendations on how best to completely do away with certain practices to this effect, toward defining more innovative and frugal modes of interaction and engagement. This may even have the dual effect of considerably downsizing the existing bureaucracy and reducing the distance between expectation, commitment and achievement. Such a collective agenda for change did not, however, materialise. The three reviews, despite certain candid acknowledgements and allusions to an international system in flux, all ultimately underscored the need ‘for more’ within the organisation’s existing structural constitution. Thus, the onus now falls on the broader international community to interrogate the potential consequences of this period of introspection thoroughly to arrive at a more elaborate understanding of whether the UN will be able to coordinate and execute more effective responses to global peace and security, with tools that seem both outdated and at odds with this emergent global environment. Remaining cognisant of the common approaches taken by the three reviews (and their subsequent shortcomings), each of the reports nonetheless provide a number of key observations, arguments and recommendations that will go a long away in spurring the need for change and greater reflection throughout the UN’s organs, agencies and member states. Each of the reviews, when read in isolation, should rightly be commended for the comprehensive and inclusive methodological approaches they adopted, whilst putting forward a range of valuable contributions in the form of new evidence and frank assessment. These will undoubtedly play a crucial role in catalysing action toward reform. The highlights of each review process are detailed below, to establish a common baseline that can be used to assess whether these reports adequately take into account and address (a) the deeper, underlying issues that have led to the changing nature of conflict outpacing the effectiveness of the organisation’s responses; and (b) the structural dissonance or incongruence of the organisation with regard to the emergent international peace and security environment. Of the three review processes considered by this paper, the WPS report is, arguably, the most detailed and comprehensive. 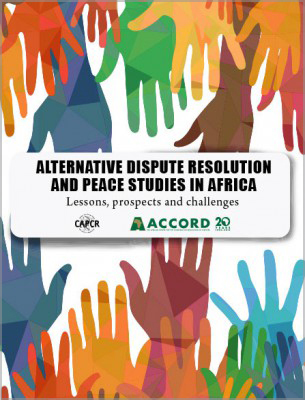 Spanning more than 400 pages, this report illustrates in great detail the various issues and key considerations that global policymakers and practitioners ought to examine in their cross-cutting implementation of this watershed resolution. 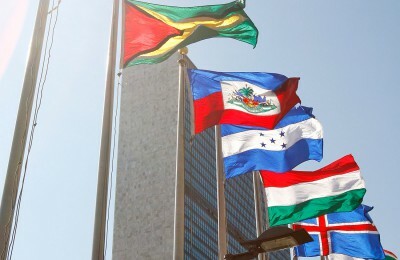 As previously discussed, the review followed the adoption of UNSC resolution 2122 (2013), which marked the 15th anniversary of resolution 1325 and effectively mandated the Secretary-General to report to the UNSC on “…identified gaps and challenges, as well as the emerging trends and priorities for action”.7 The Secretary-General subsequently appointed a lead author, and requested that UN Women be the secretariat of the study. 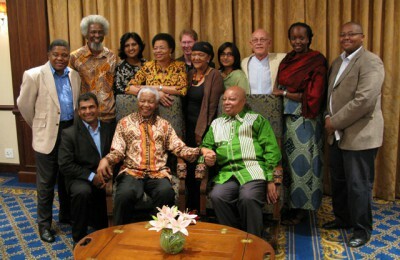 Following this, a High-level Advisory Group was appointed to support the lead author. funding for programmes and processes supporting the WPS agenda remains “abysmally low”. 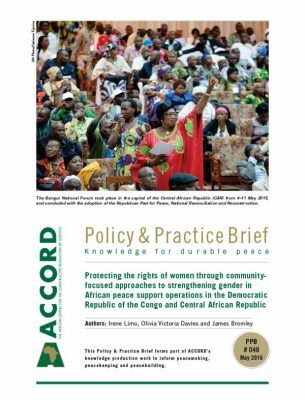 In sum, the WPS report presents a set of valuable contributions in moving the WPS agenda forward, by providing a comprehensive and candid assessment of what has and has not been achieved, the reasons behind this, and what should be done to strengthen the WPS agenda through the implementation of resolution 1325. What is disconcerting, however, is just how far removed many of these final conclusions are from the report’s very own first chapter, which details the broader international context and climate in which these must be understood. that the “local” must “…clearly be the most important factor in our analyses”13 – in reference to the fact that local experiences and situation-specific analyses, interventions and responses must be emphasised. The disjuncture between the report’s initial environmental assessment and its prescriptions as to how the UN may better account for it is therefore readily apparent, and further sets the general tone for all subsequent chapters. Thus, in spite of the report’s subsequent findings, which are all extremely well illustrated and contextualised, there remains a lingering sense of an arguably subtle (unintended or otherwise) duplicity – which stems from a disconnect between appraisal and prescription. While this is commendable, it ironically underscores the disjuncture between appraisal and prescription, which may be understood as one of the deeper factors underpinning the very international disillusionment that gave rise to all three reviews in the first place. Again, this directly speaks to the now officially acknowledged concerns referring to the outpacing of the UN by the changing nature of conflict, and the structural incongruence of the organisation in light of the emergent international peace and security environment. Whereas the WPS review arose out of a UNSC resolution, the HIPPO review had been set into motion primarily as a result of the UN’s recognition of a distinct, and growing, international disillusionment over the effectiveness of its responses to global peace and security concerns. Mirroring the process and methodology of the WPS review, the HIPPO engaged in extensive global consultations, received more than 80 written submissions from member states, participated in a number of thematic workshops relevant to the scope of the review, and visited three UN peace operations in the field.16 In addition, the HIPPO met with various representatives of the organisation’s funds, agencies, programmes and member states. the need for the UN to “unite its strengths”, with a clear emphasis on (a) the forging of common political strategies to drive peace operations; (b) partnerships to ensure success; and (c) people to be placed squarely at the centre of the organisation’s peace operations. However, the report, while noteworthy for highlighting many of the key issues that the organisation must grapple with moving forward, is largely predicable and at times disjointed, and provides recommendations that are far too open to interpretation. 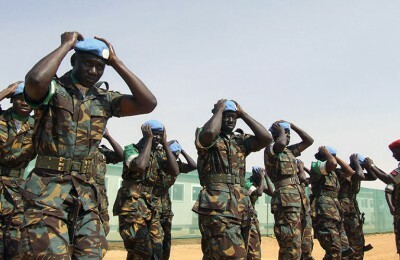 At a broader level, the report’s contextual analysis on the effectiveness of the organisation’s peace operations concerning the emergent needs of the future, downplays this period of ontological dynamism underpinning the nature of the international system itself (to a far greater extent than the WPS review). Ergo, the HIPPO report’s overall assessment is one that is greatly mired in unquestioned assumptions of the nature of the global order (pertaining to actors, interests and behaviour). These appear to be largely outdated and at odds with what is required by the UN to address contemporary peace and security concerns. Unsurprisingly, akin to the WPS report, the HIPPO report’s final assessment points directly to some form of structural expansion (at the expense of a deeper rationalisation) that would allow the organisation to do more in line with what is already being done, in spite of an early appraisal that there are dramatic changes taking place which may necessitate completely new approaches, or a complete overhaul of the organisation’s institutional architecture. Again, the key distinction between restructuring and rationalisation is an important one. The HIPPO report, similarly to the WPS and AGE reports (albeit to a lesser extent), offers an early prognosis of the emergent international peace and security environment. It then goes on to discuss and detail various recommendations that allude to the need for new approaches, practices and interventions. Such recommendations are, however, largely devoid of any particular novelty. 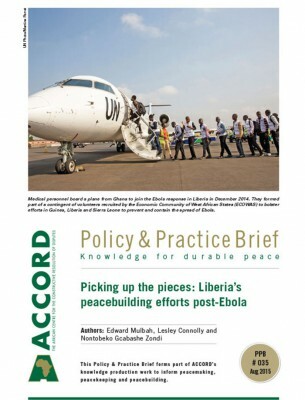 With specific reference to the report’s four essential shifts, it is readily apparent, in spite of the considerable importance of “embracing” such changes, that what has been posited have already been largely recognised, and have evidently been significant considerations in the design and implementation of recent global peace operations by a host of international actors. 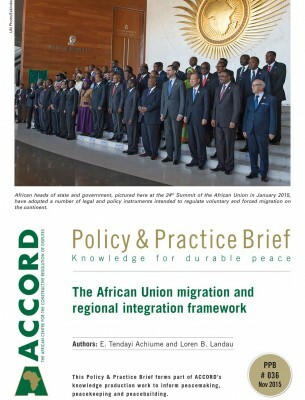 Thus, the novelty to which the HIPPO report alludes to in its subsequent consideration of new approaches can only be understood as novel insofar as it speaks to the greater structural expansion of the UN’s existing global peace and security architecture, and the institutional restructuring that would be required to better account for, and (re-)prioritise, the issues that the report highlights. In sum, the HIPPO report pays inadequate service to a deeper interrogation of its effective raison d’être, thereby raising more questions than it definitively answers. Its initial contextual analysis and appraisal, which defines the scope and parameters of its subsequent observations and recommendations, dually fails in making the necessary connections between the changing nature of conflict and the changing nature of the broader international system, as well as how this speaks to the UN being perceived as outpaced and structurally incongruent with the needs of the emergent system to which it ought to be attuned. For example, despite certain allusions to the key issues of the growing intractability of conflict, the failure of the international community to establish inclusive political processes in post-conflict states, and the pervasive threat of vacuums of governance and accountability at state-levels, the report does not go far enough in making the critical connections between these and its final conclusions. 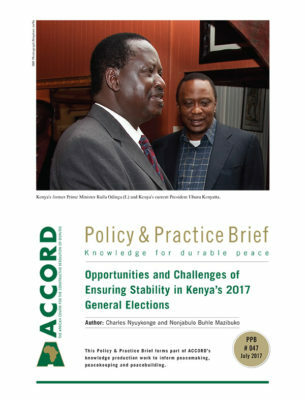 Consequently, the HIPPO report constrains its overall assessment within a framework that is largely inflexible, predictable and too narrow in scope to spur any significant changes in the organisation’s overall approach and conduct regarding global peace operations and the emergent international peace and security environment. 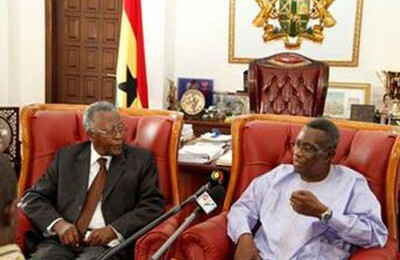 The third and final review process under consideration, encapsulated in the AGE report, was presented to the UN Secretary-General a mere two weeks after the presentation of the HIPPO report. 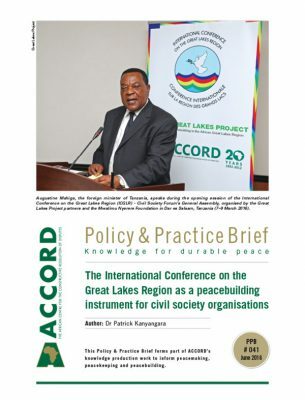 In terms of process and methodology, the AGE – which undertook a review of the UN’s peacebuilding architecture – placed far more emphasis than the HIPPO (and, to some extent, the WPS group of experts) on gleaning key lessons to be learned. 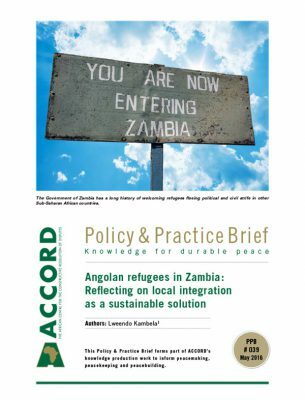 It did this through a detailed consideration of five case studies: Burundi, Central African Republic (CAR), Sierra Leone, South Sudan and Timor-Leste.18 Consequently, the AGE report is distinctly more focused in terms of its scope and subsequent assessment. With respect to the HIPPO’s final conclusions, by comparison, the AGE report ventures more deeply into questioning the bedrock and current ontological dynamism of the international system, and presents a number of especially critical propositions for the organisation moving forward. Of all three reviews, the AGE report could arguably be understood as the document that provides the greatest nod toward some form of deeper institutional rationalisation. In so doing, it lays the conceptual and, to some extent, empirical basis for the organisation’s member states to identify more greatly with the pros and cons associated with a break toward a more revisionist organisation, versus one that continues to conduct its affairs in a “business-as-usual” manner. the need to avoid conflating the concept of national ownership with the strategies and priorities of some concerned central national government or authority – which, in the context of often-divided post-conflict settings, may conversely exacerbate exclusionary practices, to the detriment of the broader society which a peacebuilding intervention should prioritise. In sum, it is readily apparent that the AGE report brings to the fore many of the deeper, underlying and pervasive issues that warrant greater attention by both the organisation and the broader international community. By making the necessary connections between the UN’s current operational and institutional character vis-í -vis the primary features of the emergent international peace and security environment, the AGE report succeeds in its prescriptive treatment of what is required by the UN moving forward. Most significantly, however, the AGE report specifically points attention to the fact that the organisation’s current malaise – in terms of it being outpaced and structurally incongruent with the demands of this emerging environment – ought to be understood beyond allusions to the changing nature of conflict, but to the changing nature of the international system itself. 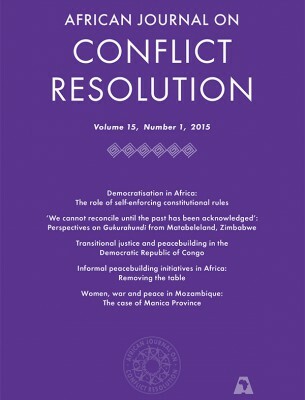 Should this period of institutional introspection be seen as a decisive break from the past and be regarded as a starting point toward defining a new, more responsive and effective global peace and security architecture, then a collective reading of the content of the three review processes provides invaluable clues and indications into what the future may hold. 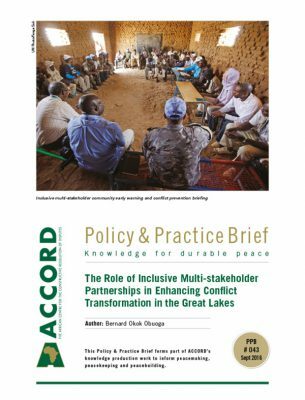 More importantly, however, these reports speak to what a global peace and security agenda may look like with respect to the likely institutional architecture that may emerge as a response to the most pressing challenges of its external environment. The key distinction here is that whereas the UN maintains a fair degree of malleability in being able to restructure its organs, agencies and various departments to meet the global peace and security demands of the future, such efforts will impact directly upon the foreign policy calculus of its own constituent member states, as well as the behaviour of various influential non-state actors, upon which a broader global peace and security agenda will be premised. The degree to which either reflects and influences the other will be a crucial determinant of international stability over the coming years, and will likely spur significant developments that will come to be understood within a dichotomous framework that pits revisionist forces against those of a distinct status quo. Therefore, the assertion that the UN currently stands at a crossroads is a significant understatement. 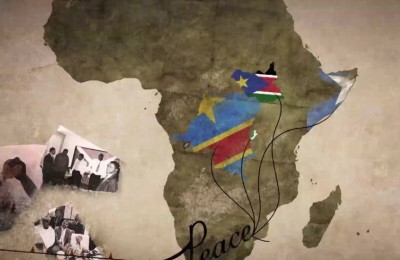 At the centre of this dilemma are the two critical issues that spurred the three review processes into existence in the first place: the challenge of being outpaced by the changing nature of conflict, and the need to address the organisation’s structural dissonance or incongruence with the emergent international peace and security environment. How these issues will be approached by the UN will have far-reaching consequences on the nature of an emergent global peace and security agenda, as both of these issues have largely contributed to the growing international disillusionment with the UN as a whole, and the increasingly unsustainable gap between expectation, capability and achievement. Based on the overall assessments of the three review processes, there are two distinct approaches that the UN may adopt. On one end of the spectrum lies an approach that is largely predicable and characterised by a definitive business-as-usual stance, which maintains the status quo. 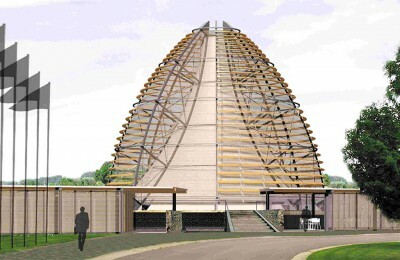 This approach would address the aforementioned challenges through various processes and engagements that seek to capacitate existing structures and practices more, and essentially to “do more with more”. Such an approach would be fundamentally premised on an idea of structural expansion, as well as a set of assumptions that do not question any significant ontological dynamism with respect to the emergent international system. On the other end of the spectrum, however, lies an approach that would prioritise the key underlying trends and dynamics of the emergent international peace and security environment, and would aim to rethink the organisation’s approach fundamentally toward global challenges. Such a revisionist approach would be premised on the notion of institutional rationalisation, and would seek to address the challenges through processes and practices that emphasise the merits of pragmatism, eclecticism and frugality. The novelty of such an approach would be evident in the way in which emphasis would be placed on the content and nature of existing inter-organisational and intra-organisational partnerships, for example, as opposed to an approach that stresses the establishment of more partnerships for the sake of greater partnership. The relational quality of existing processes, practices and structures, and the need to enhance, rationalise and streamline these, would thus take priority and supplant the logic of needing to “create more to do more”. The general direction of potential change and reform of the UN’s peace and security architecture, moving forward from this latest round of introspection, will thus be critical, and will likely veer towards either end of the spectrum described above. Global policymakers and concerned international stakeholders from across civil society, intergovernmental organisations and academia would do well in monitoring this period of profound change with respect to the broader international system, to help guide and temper the definition of an emergent global peace and security agenda. Moreover, concerned international actors should remain well aware that there is ample historical evidence to support the assertion that it is far easier to appear to address a problem by “creating more” and adding additional layers of complexity to already-complex matters. Similarly, within a multilateral institutional context, it is far easier to appear to address a problem by operating primarily at a normative and prescriptive level. The challenge, which ought to be shared by all concerned global actors, is the need to provide solutions that simplify and rationalise – such that a formidable and robust global peace and security architecture may emerge that is truly reflective of, and responsive to, an emergent international peace and security agenda. 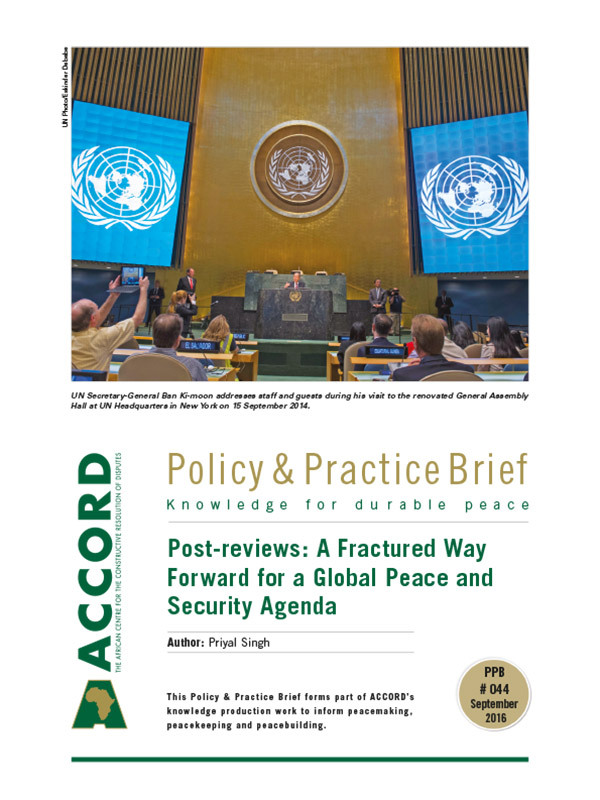 While the assessments of the UN’s three key peace and security review processes are encouraging and provide significant content for greater introspection, the organisation’s path toward deeper, more meaningful reform will be a particularly challenging process, with clear ramifications for an emergent global peace and security agenda. 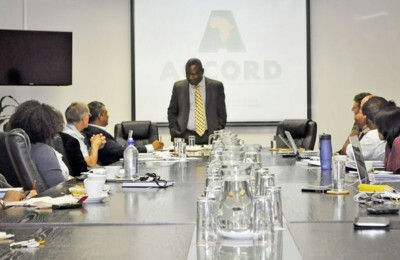 A collective reading of the core observations and arguments of the WPS, HIPPO and AGE reports highlights a definitive set of general policy directions, either towards greater structural expansion or something more geared towards a deeper institutional rationalisation. In either case, the central issues that the organisation must grapple with – that of being outpaced by the changing nature of conflict, and its structural dissonance with the emergent international peace and security environment – remain the same. The key difference between either of the proposed general approaches identified in this paper, however, refers to the divergence between the two in attaching importance to the deeper ontological dynamism of the emergent international system. 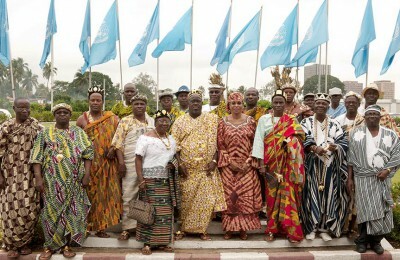 It is therefore recommended that all concerned international actors closely monitor, assess and actively guide the general orientation of the UN’s efforts towards a more responsive and rationalised peace and security architecture, given the far-reaching implications of this with regard to an emergent global peace and security agenda. Only by more deeply interrogating and questioning the underlying assumptions of the three reviews will the UN be able to make the necessary reforms that its emergent external environment truly requires of it. Coomaraswamy, R. 2015. Preventing conflict, transforming justice securing the peace: a global study on the implementation of United Nations Security Resolution 1325, UN Women. Available from: <http://wps.unwomen.org/~/media/files/un%20women/wps/highlights/unw-global-study-1325-2015.pdf>. United Nations General Assembly/United Nations Security Council 2015a. Report of the High-level Independent Panel on Peace Operations on uniting our strengths for peace: politics, partnership and people (A/70/95-S/2015/446*), 17 June. 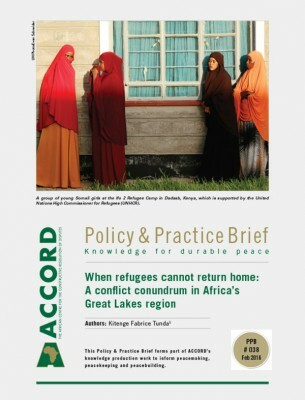 Available from: <http://www.globalr2p.org/media/files/n1518145.pdf>. United Nations General Assembly/United Nations Security Council 2015b. Challenge of sustaining peace: report of the Advisory Group of Experts on the review of the peacebuilding architecture (A/69/968–S/2015/490), 30 June. Available from: <http://www.un.org/ga/search/view_doc.asp?symbol=A/69/968>. 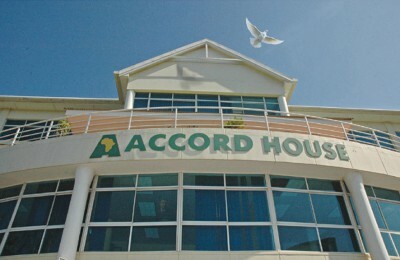 In the initial terms of reference, the review of the Advisory Group of Experts (AGE) on the UN’s “peacebuilding architecture” specifically pointed attention to an assessment of the organisation’s three primary peacebuilding institutions based at its headquarters in New York, namely the Peacebuilding Commission, the Peacebuilding Support Office and the Peacebuilding Fund. United Nations 2014. General Assembly Item A/69/674–S/2014/911, 17 December. Available from: <http://www.un.org/ga/search/view_doc.asp?symbol=A/69/968>. Bøí¥s, M. 2015. 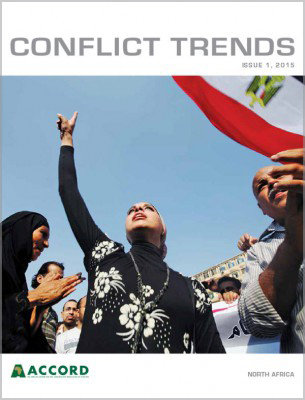 Conflict and peace trends. 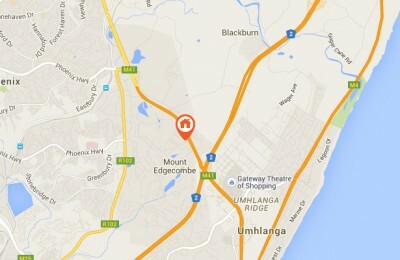 In: Peter, M. (ed.) United Nations peace operations: aligning principles and practice. Report No. 2, 2015. Norwegian Institute of International Affairs (NUPI), pp. 7–9. 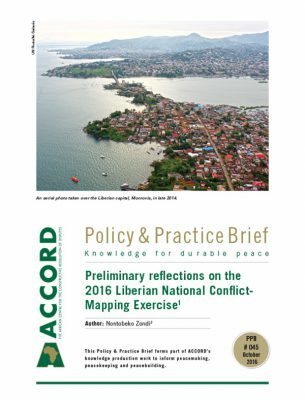 Available from: <http://www.nupi.no/en/Publications/CRIStin-Pub/United-Nations-Peace-Operations-Aligning-Principles-and-Practice>. United Nations General Assembly/United Nations Security Council 2015a. op. cit., p. 9. Coomaraswamy, R. 2015. op. cit., p. 13. United Nations General Assembly/United Nations Security Council 2015a. op. cit., pp. 3–4. United Nations General Assembly/United Nations Security Council 2015b. op. cit., p. 13.